Rubbing to edges and corners bumped. Spine and covers creased and torn. Pages browning. Inscription on fep. There is a time to read stories about people like yourself, and a time to read about people who are different. That is when you should read about princesses, for whether they are bullied or cherished, proud or simple, hardworking or spoilt, beautiful or long-nosed, they are always special. 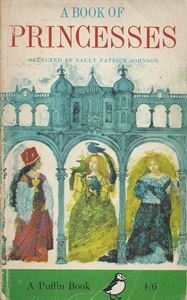 In this book you will find every type of princess imaginable; some are nice, some are horrid, some pretty, some plain, and the stories bout them have been told by such wonderful writers as Walter de la Mare, Hans Andersen, Oscar Wilde, Charles Dickens, A A Milne and George MacDonald. It is a book for little girls, especially those who like to dream.